We’ve all heard of the zillions of reasons to keep cats inside a loving home as a means of protecting them from various feline specific diseases and assaults from humans, cars, and bikes. But here’s another very important reason for keeping our cats indoors: Lyme Disease. Outside cats often catch birds. Recently we learned that birds can be carriers for ticks and Lyme Disease. The bird that Fluffy proudly drops on your pillow or on the doorstep could have multiple ticks. Those loathsome parasites look for a new host when the bird dies. This host could be your cat, it could be you. How many readers suffer from Lyme disease or know people who are? And how many of those people showed horrible symptoms before the disease was diagnosed and treated? We won’t go into that aspect we just want you to be aware that if your cat goes outside Lyme Disease is added to the list of reasons to keep kitty inside. 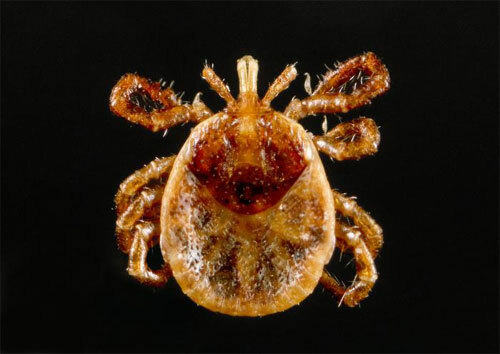 Ticks are spreading like wildfire and so is Lyme disease. This article talks about how Climate Change is a tick’s best friend and another reason why global heating is our enemy. If your cat or you develop Lyme disease you’ll want a protocol from the veterinarian or MD. Along with their treatment Colloidal Defense can be an ally in killing Lyme Disease. You would use it 3 or 4 times per day. We are told that the most important time of day is to take it at night, right before bed. It’s also important to take it on an empty stomach. You may also apply it topically. Here’s an article from our resident smart kitty Issac Newton about Feline Calicivirus (FCV). It’s a particularly nasty virus that is one of the leading causes of feline upper respiratory infections and can cause painful ulcers on the nose, eyes and mouth. We’ve seen Colloidal Defense help cats get through a bout of Calicivirus much more quickly. If your cats have ever had Calicivirus it’s a good idea to put Colloidal Defense in either their food or water daily as a prevention. To see just how nasty the painful oowies that accompany this disease can be, one of the links below has photos which show what can happen to a cat’s nose, mouth and eyes (there is a warning with the link). These are graphic and not suitable for children or sensitive adults. Fortunately, not every outbreak of Calicivirus is as dramatic as shown in these photos. 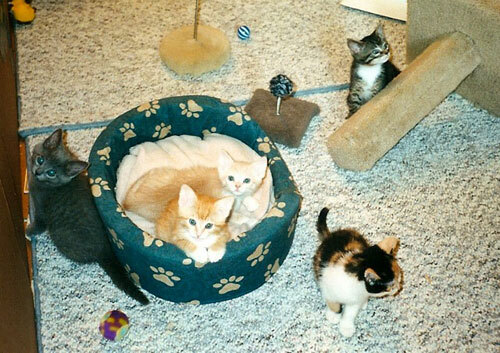 Because their immune systems are not well developed kittens everywhere are at high risk for the most common feline viral diseases (upper respiratory disease and distemper). The stress of living in a shelter makes them even more susceptible and the proximity of other cats almost guarantees that they will get sick. The most common causes of upper respiratory infections in cats and kittens are herpesvirus and calicivirus. 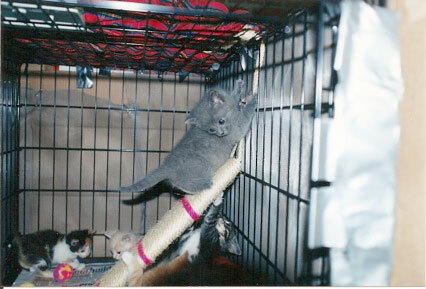 I was once a shelter kitten and I am a calicivirus survivor. The ulcers are very painful so drooling or pawing at the mouth may indicate their presence before they are readily visible. Vaccination against calicivirus does not provide immunity, but it can decrease the severity of symptoms. (http://www.sheltermedicine.com/node/38#vacs – warning – graphic pictures on this page of nose, eye and mouth ulcers – not suitable for children or sensitive adults) Since upper respiratory diseases are viral support therapy is used until the body can fight off the illness. Cats are typically treated with antibiotics to prevent pneumonia and other secondary bacterial infections. In severe cases fluids may be required. 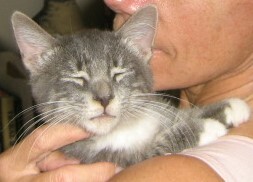 Fortunately, my symptoms were not severe and I had a foster mom to take care of me away from the shelter. 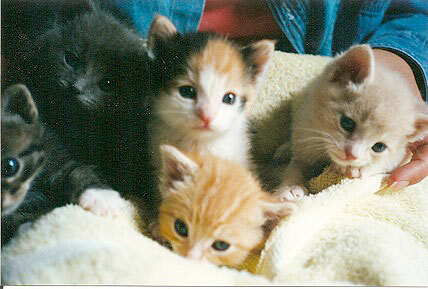 Calicivirus can be very serious, especially in kittens. It is important to get veterinary help as soon as possible. 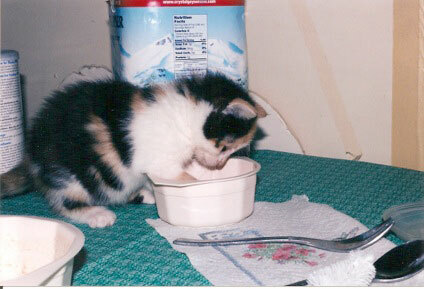 Traditional vets will use oral antibiotics and fluid therapy for rehydration if needed. Antibiotic eye ointment may also be prescribed to prevent ulceration and possible blindness. In all cases good nursing (e.g. cleaning discharge from eyes and nose, providing fresh food/water and a warm safe place to sleep) is essential. Although calicivirus outbreaks are most common in crowded situations, such as shelters or catteries, an indoor cat at home can still get the disease. Hand washing is an important precaution both for humans and their kitties! In the case of known infections it is best not to visit homes with sick cats for at least 2-3 weeks after they have recovered. Caretakers of sick cats should not visit other homes with cats. After I finished my antibiotics I went in for my final exam at the shelter. I felt pretty good, but the veterinarian said I was unadoptable! Why?!? Some cats become carriers after recovering from the disease. (http://www.sheltermedicine.com/node/38#disinfect – warning – graphic pictures on this page of nose, eye and mouth ulcers – not suitable for children or sensitive adults) This means they could still potentially infect others. The virus is most likely to become active under stressful situations. 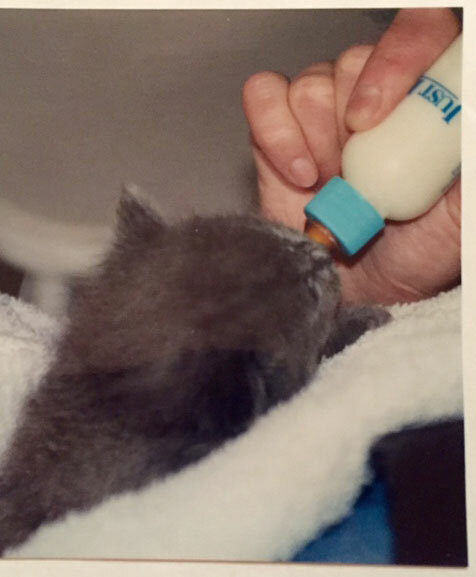 Fortunately for me, my foster mom was willing to take the risk. 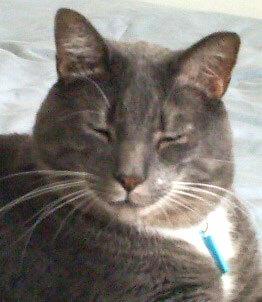 At home we have minimal stress thanks to “Multi Cat Household Harmony Flower Essences” and “Convivial House Cat” spray. We have all remained healthy since my adoption over 7 years ago. You can see why my mom fell in love with me. 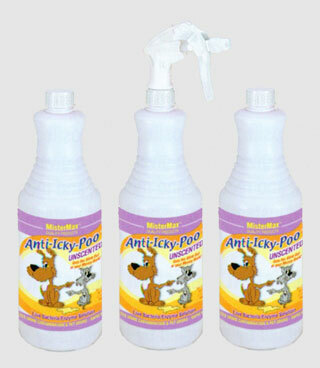 Anti Icky Poo Spring Cleaning Tips!